The foreign policy of Malaysia during the first tenure of Dr. Mahathir reflected attempts at economic regionalism through active and assertive diplomacy. Mahathir’s Look East Policy (LEP), importantly, was geared towards reinforcing Malaysia’s relations with South Korea in terms of economic rather than political cooperation. Economic cooperation between Malaysia and South Korea materialized to a great extent when both countries undertook mega projects like the PETRONAS Twins Towers and Penang Bridge construction and elevated operations of Samsung Electronics. As far as Malaysia is concerned, it gained tremendous economic growth as a result of such bilateral economic collaborations with South Korea especially in the 1990s during the Mahathir era. This article examines the development of economic relations between Malaysia and South Korea during Dr. Mahathir’s first tenure as the Malaysian Prime Minister with an emphasis on the ways in which he made significant strides in furthering their bilateral relations. Using both qualitative and quantitative data collected in the form of primary and secondary sources from the Arkib Negara Malaysia, Ministry of Foreign Affair Malaysia, Export Import Bank Korea, Malaysian Investment Development Authority (MIDA), and the researcher’s interview with Mahathir Mohamad himself, the article elaborates three key areas – Mahathir’s LEP in relation to South Korea and Malaysia-South Korea relations in terms of bilateral trade and investment. MIYOUNG, Song; SUNDARA RAJA, Sivachandralingam. MALAYSIA-SOUTH KOREA ECONOMIC RELATIONS: MAHATHIR MOHAMAD MADE THE DIFFERENCE. SEJARAH: Journal of the Department of History, [S.l. ], v. 27, n. 1, aug. 2018. ISSN 1985-0611. 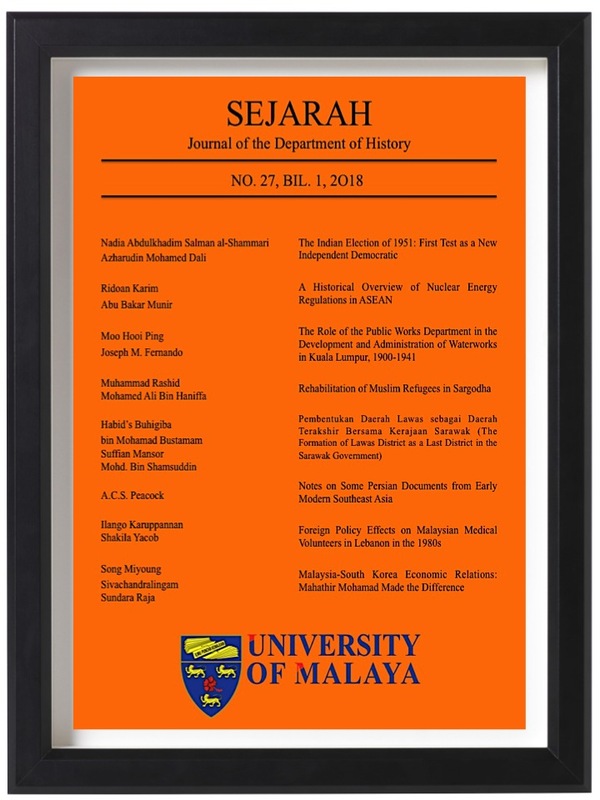 Available at: <https://ejournal.um.edu.my/index.php/SEJARAH/article/view/13096>. Date accessed: 22 apr. 2019.